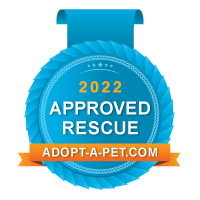 Orange County Pit Bull Rescue strives to be a organization that offers assistance to our community as well as rescuing dogs in need. We offer resources to dog owners such as low-cost Veterinary and Spay/Neuter services; Information for renters; Support for the Military on Deployment; How to responsibly re-home your dog as well as a courtesy listings program to help you find a good home for your personal dog or a rescue dog. If you need resources for low-cost Veterinary services, please see our page Veterinary Care. For tips on finding a Pit-Bull friendly rental, please see our page Renting with your Pit Bull. If you need to re-home your dog, please see our page Rehoming your Dog. For more information on our Courtesy Listings program, please see our page here and email [email protected] for additional information and to apply for a listing.